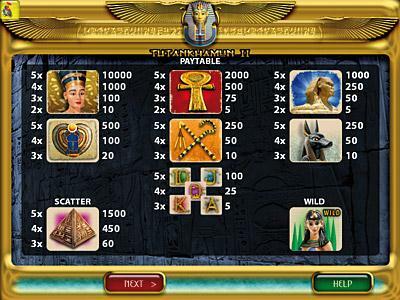 New edition of the famous Tutankhamun. 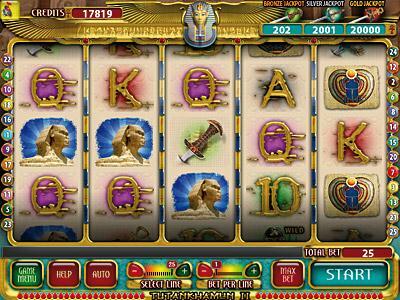 It has 25 paylines and maximum bet per line credits. When the symbol “Baton” appears at the 4 corners of the reels then the Free bonus is triggered. 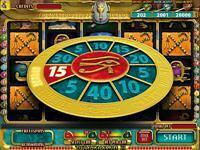 You can win 5,10,15,20,30 or 40 free spins. 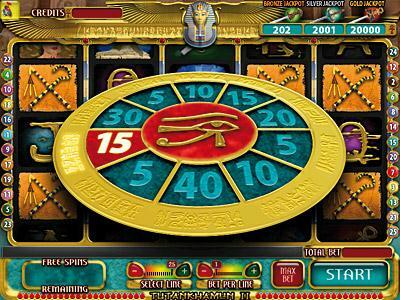 When the symbol “Sacred Beetle” appears at the 4 corners of the reels then the X Bonus is triggered. The last reel multiplies the winnings of the . When the Wild symbol appears in any position at the 3rd, 4th or 5th reel then it substitutes all the symbols in case there is a win. Scatter and jackpot combinations are excluded. 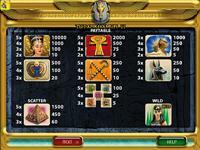 Tutankhamun II has 3 Jackpots, Bronze, Silver, Gold. 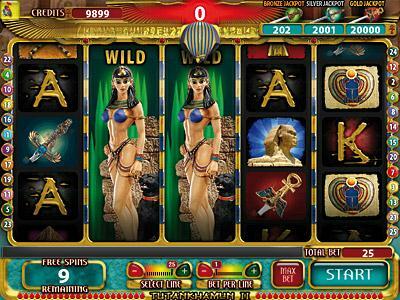 Τhe Wild symbol does not participate in Jackpot combinations.